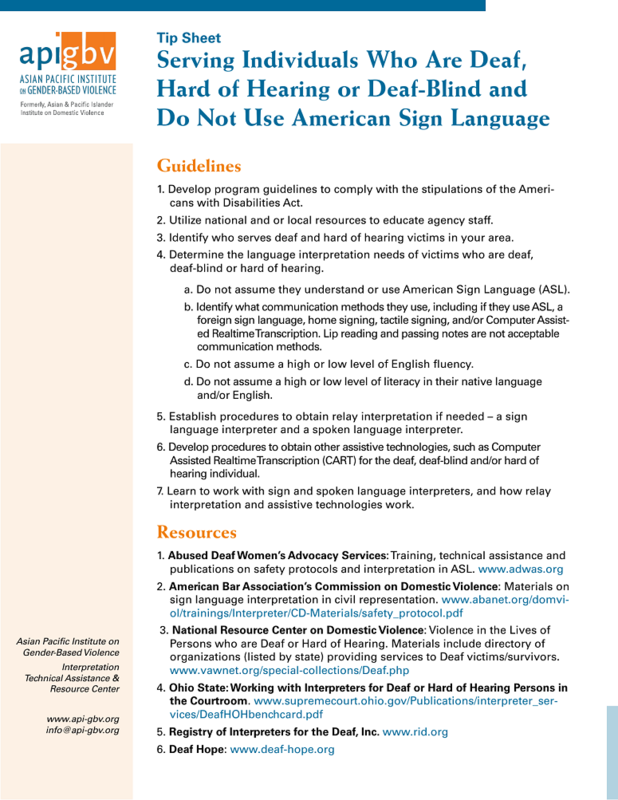 Tips and resources on ensuring access for victims who have additional language access needs. Information, tips, tools, and resources for ensuring language access in service agencies. Use this template to create a language access plan for your agency. Guidelines on developing a language access plan that complies with federal standards. Tips and resources on finding and screening interpreters. 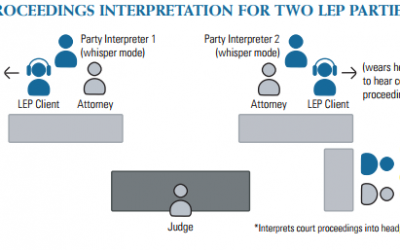 Problems that may arise when using an interpreter, and tips on what should be done. Tips on ensuring accurate interpretation and confidentiality while avoiding conflicts of interest. Ensuring equal access for LEP and Deaf and hard of hearing survivors.